These days we are spoilt for choice in the supermarkets and fine food shops as regards party food and drinks but there is something very satisfying about putting up fayre which you have made yourself. Why not make this year the start of your own annual festive party tradition? – I promise you anyone can do this and it is the most wonderful feeling filling your house with the sound of clinking glasses and the chatter and laughter of guests. Here I have put together a post about making your own mince pies and mulled wine but if you are only a beginner then maybe just stick to making one or the other this year or better still, if you are a couple then share the task of one making the mulled wine with the other doing the pies!! Mince pies are so simple and if you can master the craft of pastry making then half the battle is won! I used to buy good quality mincemeat for mine but for the past couple of years have been making my own. My current favourite is a Mary Berry Recipe and I have to say it’s delicious. From the first Mincemeat recipe below, you will make approx 36 pies (around 24 with Recipe 2) which will be enough to see you through your drinks party and also leave some to have over the remainder of the Christmas holidays. Note: If you don’t need to use all of your mincemeat at Christmas then you can store it in sterilised jars (in the same way as jam) to use in January or February and it is lovely mixed with Bramley apples in apple crumble. 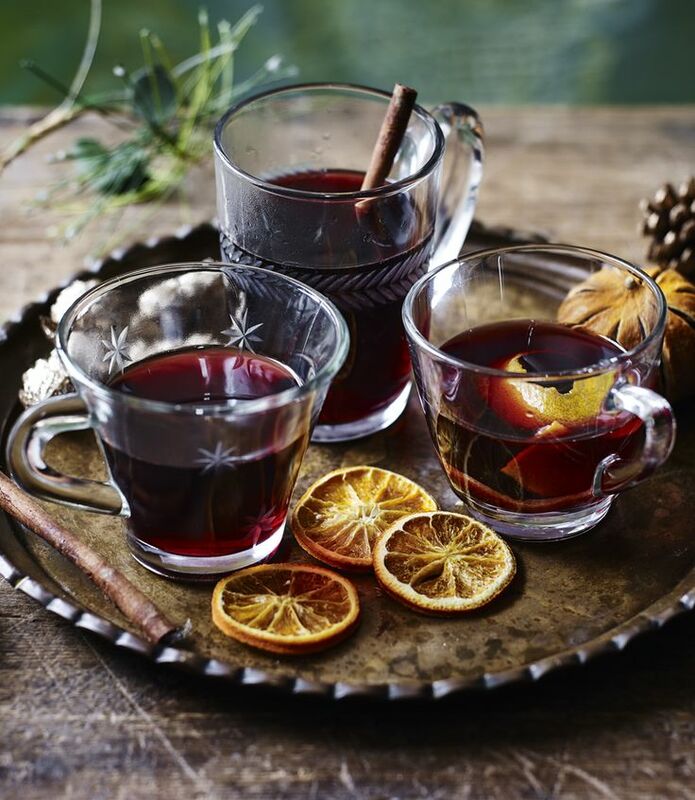 My recipe for mulled wine has been tried and tested many times and for me there is nothing nicer than the smell of cinnamon and clove wafting through your home. The recipe be be easily doubled or trebled and you will find that as you get used to making your own, you will adjust it to your own tastes. Place sugar, cloves, water and cinnamon sticks in a saucepan and bring to the boil. Simmer gently for 10 minutes and then add wine, brandy and orange juice. Keep warm until ready to serve.. simple! Spoon the mincemeat into sterilised jars, seal tightly with a lid, label and store or in this case, use immediately! Melt the butter in the microwave. Place all other ingredients in a large bowl and mix thoroughly. Add in butter and mix until combined. Leave in your kitchen for 2 days covered with a tea towel. Roll the pastry out thinly on a lightly floured surface and cut into 12 circles to fit your tin (as below). Don’t use a muffin sized tin or your pies will be too deep and for me personally, I prefer thin crumbly pastry, and not too much of it! Brush the pastry tops with some beaten egg so that your mince pies will have a nice shiny top when they come out of the oven. 40 minutes before your Guests Arrive – Remove the mince pies from the freezer and refresh in a moderate oven set at 180oC, Fan 160oC or Gas Mark 4 for 8 – 10 minutes (no need to defrost first). Dust with icing sugar and place on serving platter or cake stand. I like to have at least 2 pies per guest. Take a few minutes before everyone arrives to make sure your have everything ready (including yourself) and don’t try to do any more food etc than what you’ve done – parties like this are only supposed to go on for a couple of hours at most and remember that you can always plan something bigger for next year!! Wonderful post. 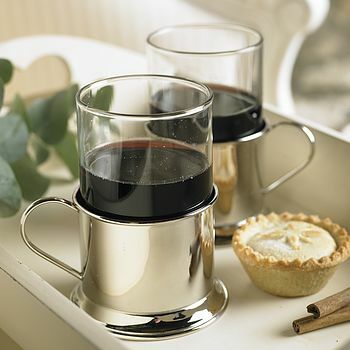 Want mulled wine and a mince pie now. ….. bit early perhaps.